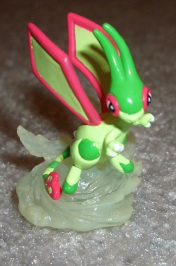 kyogres was super awesome and sold me a Flygon and Vibrava on a random base and I was super happy! THANK YOU THANK YOU THANK YOU (Then I ran the gigantic GA, and was thrilled to get the peg+base+Trapinch to complete it!) JUST LOOK AT THAT DAMN DRAGON. 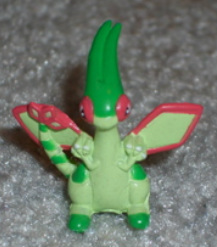 This is definitely my favorite piece of Flygon merchandise. Wow. 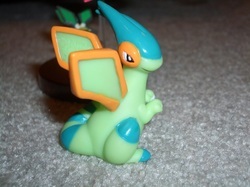 I own this? I can't believe it. Took me awhile to find this! 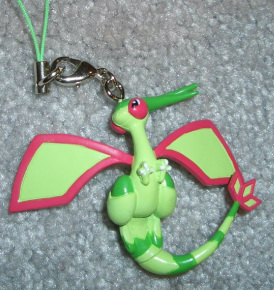 Missed out a couple of times, and finally found one in a Sales post right after I was short on money thanks to some certain canvas plush XD I had to get it, my Flygon collection needed some love! 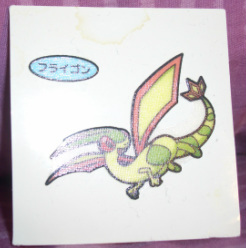 Got this one a long time ago from the Pokemon Center. 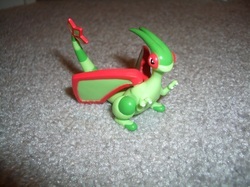 My first Flygon figure / merchandise! So cute!!! 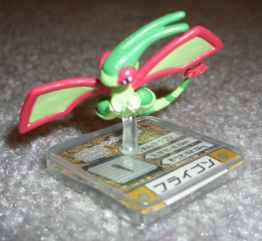 It's on the smaller side, but I really like the pose. 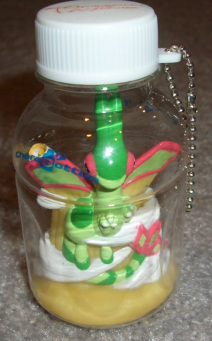 Its a bottle. 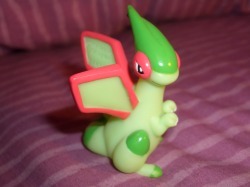 With a freakin Flygon in it. 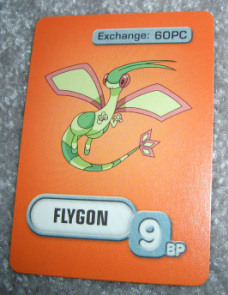 This eluded me for awhile too, until I found a decently priced lot on Y!J. Believed to be a "Town figure". 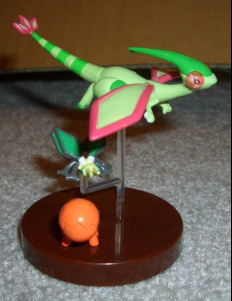 It was a gashapon figure that was rereleased in a box set too.--Thanks rentorar! This little cutie feels kinda rubbery! 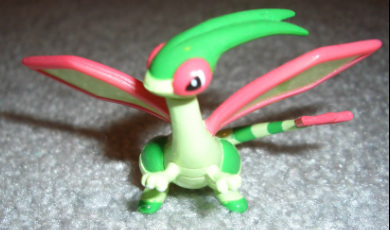 This Flygon has many posable parts! 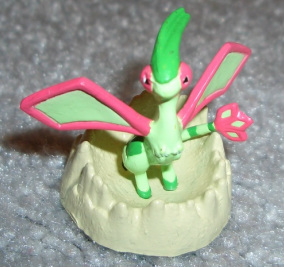 Its a Flygon in his generic pose, but in a sand crater thing. Yay? 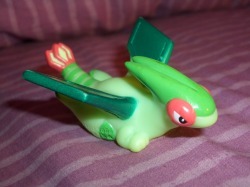 The one and only official Flygon plush. This guy is just a massive derp. Completely forgot what game its from... its an American board game though. Has a little bit of a stain/water mark on the paper, but that's alright!